Bacalar, Quintana Roo – This lot for sale is a huge piece of paradise. The town is named one the magical cities of Mexico, a “pueblo Magico”. Known for its history and magical waters, where the pirates of the caribbean came to shore through the narrow canals from the Caribbean Sea. 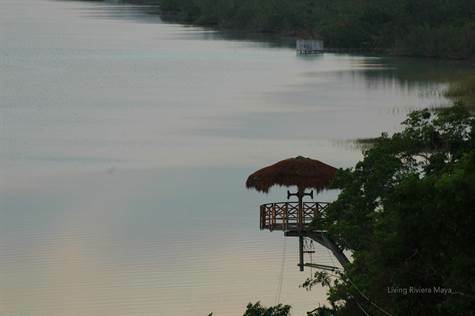 To find out more about this fantastic builder’s dream, a terrific lot for sale in Bacalar, call us now ! See these condos for sale for yourself. Reputable builder, quality finishes with modern style. Buy now for great price points. El Cielo is a fast growing, quiet and well managed gated community with great beach access. 10 minutes to downtown by car, easy access to Cancun Airport and great for families, investment property, retirement, you name it. Great mix in this new Playa del Carmen community of El Cielo. • 1,421 sq. ft., 2 bath, 2 bdrm single story “December 2015” – $172,000. Only 3 left !! Gorgeous custom construction home for sale in Los Arboles community, just outside Tulum. This Deluxe Eco Green living home sits on 5 acres in the Mayan jungle. “Los Arboles Tulum” is a private eco-development just outside of Tulum Mexico. This custom home is unique with great upgrades. Completely furnished and is available for immediate move-in. Los Arboles is an eco-friendly, off-grid, low-density, gated community minutes from downtown Tulum and the world’s most beautiful beaches. You will love the peaceful serenity and natural beauty of this beautiful community. Each lot is roughly 2 hectares or 5 acres. There is an abundance of wildlife from butterflies to spider monkeys. This is a completely self-sustaining home with state of the art high-powered solar system including backup generator. There are new Panasonic inverter AC units in all rooms. All appliances, furnishings and furniture are included, making this a turnkey opportunity. Ready for your move to Tulum, or ready to upgrade your present home. Find peace and quiet away from the noise in this tranquil home. Enjoy the large pool to refresh from warm tropical days and entertain on the patio area including a large screened-in porch. The community center is just down the street. This is definitely a “must see” property! Buyer has an option to purchase additional 5-acre lot at a reduced price. 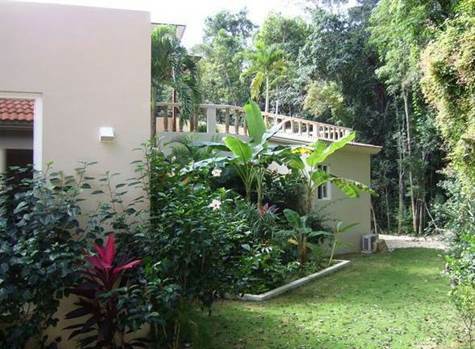 See this sustainable home for sale and live close to nature in this tranquil community. Buying in Playa del Carmen…a dream come true! LRM: Buying in Playa del Carmen…a dream come true! Yes, Canadian and Americans can actually own a property in Mexico, through a bank trust. Here are a few guidelines that will help you through the process of buying in Playa del Carmen, Mexico. First of all, you need to make sure that you really like the place, that it is where you want to spend all your holidays, or retire or possibly raise a family and start a business. You need to be sure that it’s a place where you’ll feel at home, safe and happy. Not very difficult though when it’s Playa del Carmen! The whole Yucatan Peninsula is actually one of the safest places in Mexico and Playa del Carmen has a unique Caribbean vibe…at night and during the day! Then, once you know for sure you like the area, you need to find a great and knowledgeable agent. Someone who will find the perfect property for you; the one that will meet all your desires. Investing in a property is a big thing, it’s a big decision and whether it’s in your home country or in Playa del Carmen, you shouldn’t settle for less than a perfect match! In addition,choosing a professional agency such as Living Riviera Maya, with experience and credentials, will guide you through each step of the buying process. Their role is to help you choose the best property at the best price that fits your requirements. The agency will take measures to protect you financially and make sure the title of the property is clear. Ideally, you should work with someone who speaks your language and knows very well all the local customs. Last but not least, you will need to hire a good notary. Your real estate agency will help you with that, not to worry. The notario in Mexico has higher education and is only person who can legally create titles for property or who can convey already existing title between people. That is one of the major differences in buying real estate in Mexico. That person will go through all the paperwork and legal aspects. Mexico is not Canada or the USA so it’s preferable to work with someone really specialized in Mexican laws and regulations. If all that is done correctly, you will become the happy owner of a Playa del Carmen real estate, with no bad surprises, no extra bills and where you will be able to relax and enjoy all the wonders of your new paradise! Now that you are one step closer to buying in Playa del Carmen, do not hesitate to contact Judi Shaw at Living Riviera Maya…She and her team are your best allies! Fantastic record, extensive experience with expats, on site since 2003, Judi and her team will help you make your dream come true…trouble free! Downtown, Playa del Carmen – A gorgeous new condo complex in the heart of Playa del Carmen ! Choose from 1, 2 and 3 BEDROOMS condos for sale. STARTING AT $115,000 USDfor FULLY FURNISHED. Inside a complex including 161 APARTMENTS with great amenities. 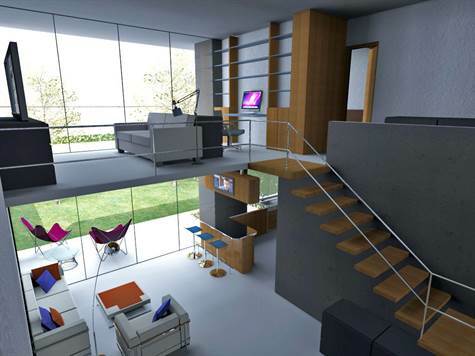 A concept art residential project in Playa del Carmen with avant-garde architecture. and unique design. It proposes an artistic change in the heart of the city. Each space will be brought to life by a different national and international artist with their valuable touch. 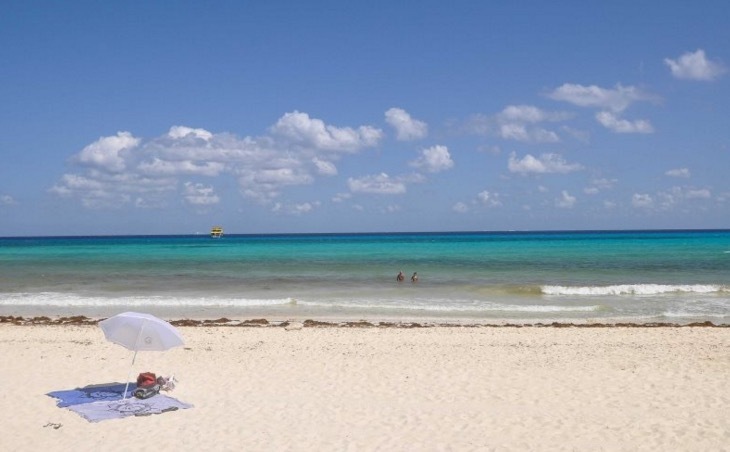 Playa del Carmen is such fascinating city, attracting visitors from all over the world. With a magical atmosphere, eclectic vibe and a dash a Mexican tradition. Due to its proximity to the Cancun International Airport and the idyllic village of Tulum, Playa del Carmen is well known for being the perfect starting point for those who want to explore and seek the colorful vibrant feel of the Riviera Maya. 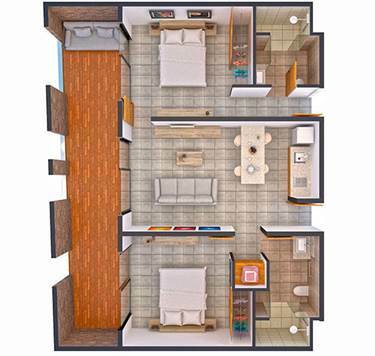 Call us to get in the beginning of this affordable and unique complex in Playa del Carmen. 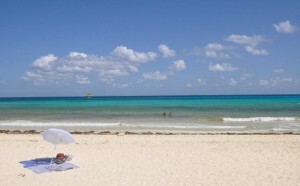 The best of Playa del Carmen Real Estate !